Sometimes it just falls smack into your lap, when you least expect it. I was beating myself up as I didn’t have anything to post for Week 9, as the teachers just finished their midterm and are moving forward with individual writing assignments–more to come on that later. As I was rushing for a flight this a.m. for the Tucson Festival of Books, I received an unexpected phone call and unexpected email. The phone call was about a family in Faith SD, who wants to give books to kids on the Cheyenne Reservation for summer reading. The email came from Gillette, WY, where a group of teachers had just read Richard Allington, and now want to collect books for kids for summer reading. I will post the Allington article at the end of this blog. The question from each of them: Where do I find books for my Free Little Library? They both thought that I might know people/groups who will send books. I believe such groups exist, but I only use 2nd-hand bookstores and Goodwill/Salvation Army locations. I have also discovered that almost all libraries have ways of donating books to others. In addition, I have noticed that when you start looking for books, books start arriving. I love to go out to our LFL to find that a passerby has left a book. 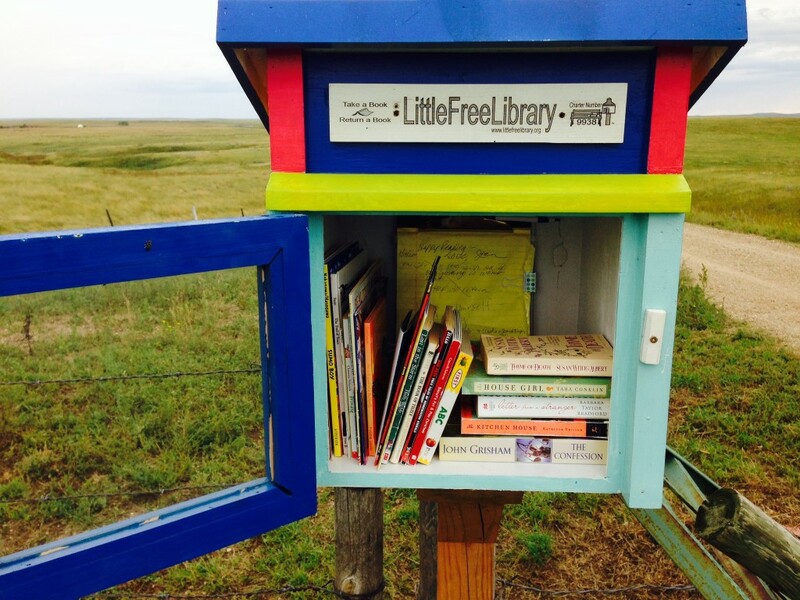 I love to go to our treasured little post office (Howes, SD) and find that a friend has mailed a book for our LFL. More than once I have received boxes of books from friends who just want to share. I am confident that by simply sharing this story, books are going to start moving from dusty shelves into kids’ hands. Thanks to all of you who help get books to kids. Posted below here, you will find the article which the Gillette teachers recently read. In addition, I am posting two of my favorite books on summer reading.